Note : If you publish, you will not be able to revert changes. 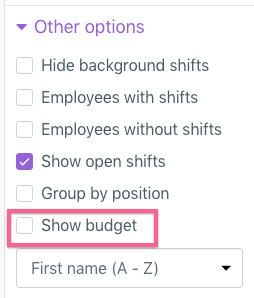 The Show Projections button to manage labor cost is now called Show Budget. See this article on how to use it. The Print button is now accessible on the left side of the More button. The Shortcuts are now under the Help button. The Budget is under Other options. Add an employee was removed from lack of usage. 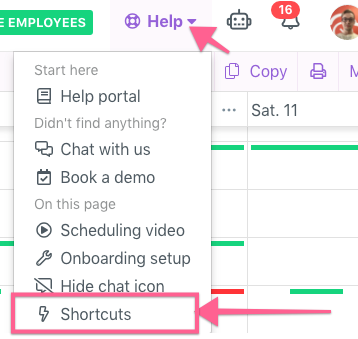 We added the auto-clock checkbox in the bottom left part of the shift creation window. Auto-clocking can be used in a variety of ways. 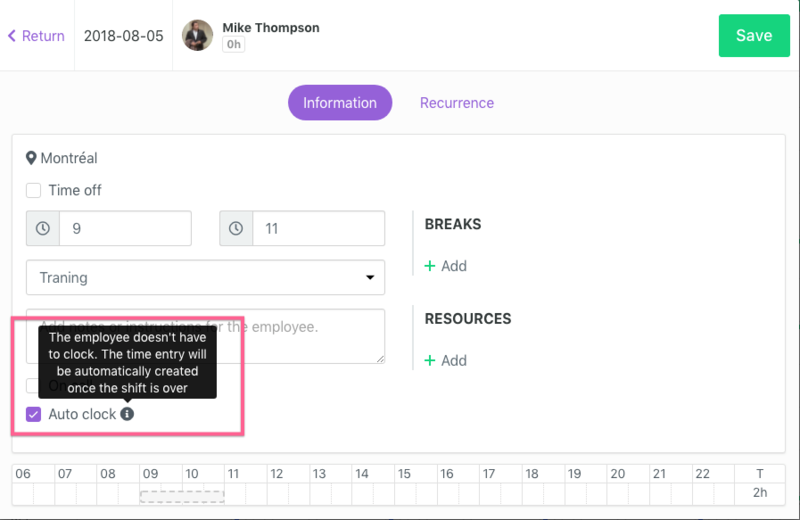 An example would be by scheduling a training when your employee does not need to clock!